One year post tummy tuck and much has changed. In those early weeks, I could not see more than a few days in front of me. But time heals most things, and at some point, I found myself feeling “normal” again. 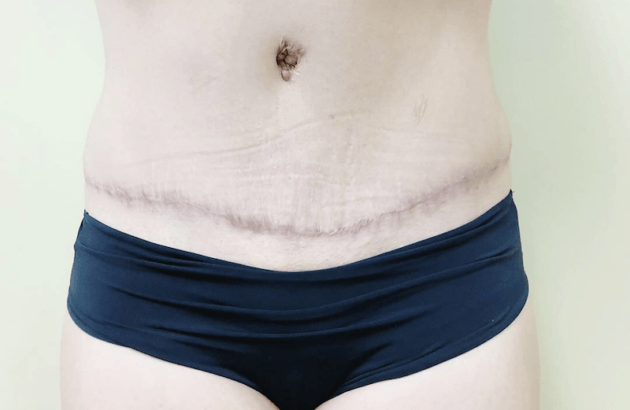 These days, the only reminder of my surgery is a scar that sits right below my bikini line. Given the sheer significance of the surgery, I am amazed at how the body heals itself. For the last several weeks, Tannaz from CosmetiCare has been using ClearLift to help diminish the appearance of my scar. I was first introduced to lasers years ago when I wanted to reduce the amount of hair on my legs. Laser Hair Removal was new at that time, painful, and very expensive. I knew very little about how lasers worked or what other conditions they could treat. CosmetiCare is excellent about providing education to their clients in order for them to make the best treatment decisions. 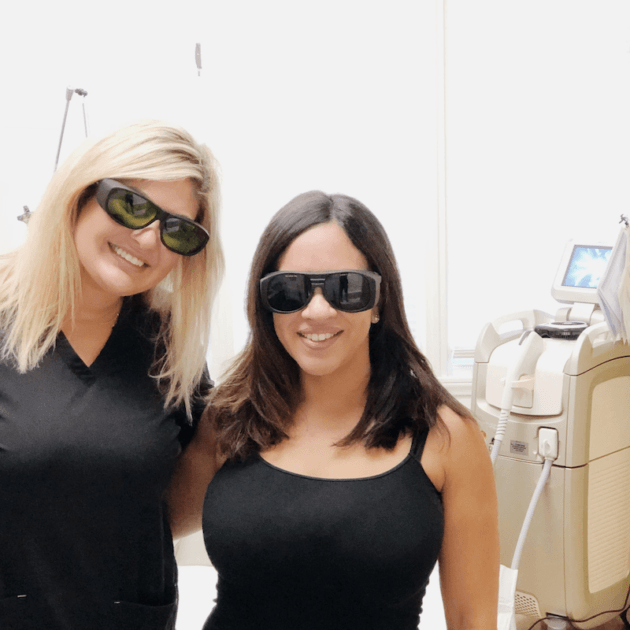 It was during a community, open-house event at CosmetiCare where I learned all of the conditions that can be treated with lasers. The nurse may also perform a skin test in the intended treatment area prior to the first session. During ClearLift treatments, protective eyewear must be worn by everyone in the room. Treatments can last 15 to 30 minutes every three to four weeks, depending on the area to be treated. For my tummy tuck scar, I had 3 ClearLift treatments. Post-treatment care is minimal and can include the application of aloe vera gel to soothe the area. Sun exposure to the area should be avoided while receiving ClearLift treatments. After three treatments with ClearLift, I noticed a reduction in the dark pigmentation of my tummy tuck scar. I also noticed that it was flatter. The recommendation for treatment of my scar starts at 6 but is really dependent on each individual’s scar. Because of my ethnicity, I have a lot of pigment in my skin, thus the scar was darker than most. After some discussion with Tannaz from CosmetiCare, she advised 3 more treatments to significantly reduce the appearance of my tummy tuck scar. Do you have scarring you’d like to treat with ClearLift? Visit ComsmetiCare for a consultation with one of their skilled laser specialists. If you do decide to book a treatment, be sure to mention Caryn100 to save 10% off all treatments, including ClearLift.